"Why this reluctance to address the root of the problem and easy satisfaction that the immediate problem has gone away?" "All these statements imply that India can live with Chinese border intrusions, that they convey no political message to India, that the public anguish at home can be disregarded as exaggerated, and that such incursions will not be allowed to disrupt the growing relationship with China so long as they get resolved through established mechanisms in time for high level visits." 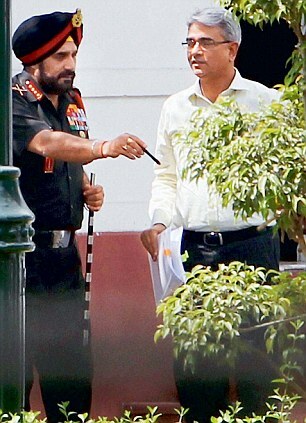 "India is being constrained to adjust itself to the realities on the ground that are to its disadvantage. The talk of a new "defence cooperation agreement" on the border serves this Chinese objective that it has apparently sought to advance by the Ladakh intrusion." Our statements on the recent India-China face-off in Ladakh continue to confound. One would have thought that we would have analysed the incident in depth, tried to figure out China's motivations in staging it just before external affairs minister Salman Khurshid's visit to China and that of Chinese Premier Le Keqiang's to India, and examined if it was another instance of Beijing's increased assertiveness on territorial issues rather than a reaction to any specific activity by India. The several flag meetings with the Chinese military, the diplomatic demarches made at the foreign secretary/ambassadorial level, and the close consultations between diplomats in charge of the new joint border management mechanism would normally have given us some clues. The preparatory work for our minister's Beijing visit should have involved a comprehensive internal analysis of why the Ladakh face-off occurred and produced a brief for frank discussions with the Chinese leadership on the subject. But the government's handling of the issue has been curiously different. adding gratuitously that "actually, we are not even ready with our own analysis", suggesting he came unprepared on this vital agenda point. In talking to Chinese journalists he implied that the need was not to end such incidents altogether but resolve them "much quicker". Oddly, he thought it was "not very helpful at this stage to apportion blame between them and us (as) it will only take away from the sense of relief and satisfaction that it was resolved in time". According to him, the apple cart of what is going on with China is far more important and should not be upset, which suggests China had not done any upsetting with the Ladakh incident. 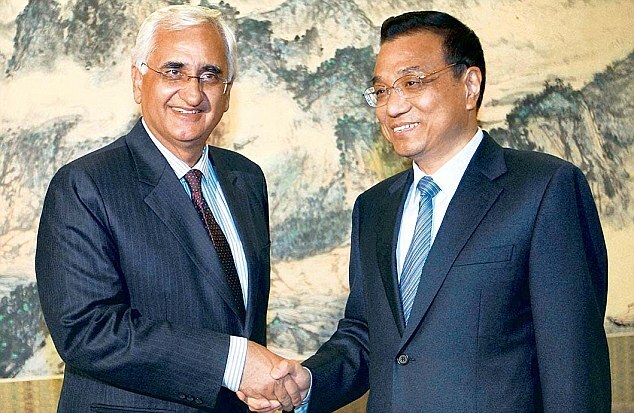 On return, Khurshid has reaffirmed that "we did not do any post-mortem or apportion blame" on the Chinese intrusion and that he was satisfied that the mechanisms worked well to resolve the stand-off. This timidity towards China, to the point of fearing to raise a contentious issue and implicitly accepting part of the blame for the incident, seems more a pathology than an exercise in diplomacy. For the government, the Chinese action in Ladakh seems to be of secondary importance; what is "more important is that the issue got resolved in a timely manner and within the laid down mechanism". Why this reluctance to address the root of the problem and easy satisfaction that the immediate problem has gone away? In the context of premier Le Keqiang's visit the minister has added that "there are no prickly issues, issues of major differences which can be seen as obstacles". Is the border issue no longer a "prickly issue" or a "major difference" between the two countries? All these statements imply that India can live with Chinese border intrusions, that they convey no political message to India, that the public anguish at home can be disregarded as exaggerated, and that such incursions will not be allowed to disrupt the growing relationship with China so long as they get resolved through established mechanisms in time for high level visits. Why we must bend so much before China is quite incomprehensible. We forget that ever since it became our direct neighbour by militarily occupying Tibet, China poses an enormous strategic challenge to us. It already occupies large tracts of our territory. The issue is not any attempt by us to evict China from such territory, it is the legitimacy of our defensive measures to prevent China from advancing further south, either through additional territorial claims as in Arunachal Pradesh or by claiming control of terrain beyond its existing military positions over which India too claims control. There is no actual agreed line of actual control (LAC) on the ground; each side has its own perception of where it lies. Such a situation is inherently unstable. China prefers agreements to maintain peace and tranquillity on the border without formally settling it because such agreements allow it to maintain its territorial demands on India and improve the military infrastructure on its side, even as they impose restraints on India to actively challenge China and open it to accusations of a provocative "forward policy" if it seeks to belatedly improve its defensive positions on the ground. India is being constrained to adjust itself to the realities on the ground that are to its disadvantage. 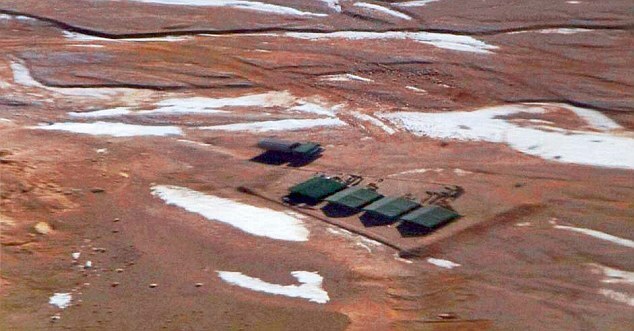 The talk of a new "defence cooperation agreement" on the border serves this Chinese objective that it has apparently sought to advance by the Ladakh intrusion. While diplomatic niceties are part of political visits, one has to be careful about the import of statements and how they will be construed by our other partners. Khurshid would have us believe that, "Both in historical terms and in terms of potential that there is for collaboration between us, we cannot think of more important country at this point of time and we are pleased that this is recognised mutually". Really? It seems China is no longer a strategic adversary. Even as China is raising the temperature of its relations with several of its other neighbours in the east, we seem to believe that China has altogether higher stakes in its relationship with us. This would explain why we believe that "China is willing to make concerted efforts with India... and promote the strategic cooperative partnership to a new level". While we cannot ignore China as a powerful reality that has to be engaged, we certainly can ignore such self-serving, empty Chinese rhetoric.